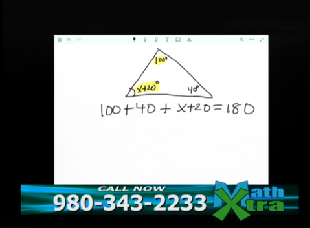 Math Xtra is the live, interactive, math homework help show that’s supporting the lessons taught in CMS classrooms everyday. And to take that support to the next level, we’ve listened to your feedback and made changes for the month of May. · The show will focus on End of Grade testing review with programs covering the basic areas of study for middle school students. · The show will be on-air an extra 30 minutes to accommodate schools with late releases. The new time is 4:30pm-6pm. Please encourage your students to call in to the show with questions at 980-343-2233, or email problems to mathxtra@cms.k12.nc.us or even tweet questions to #mathxtra. Math Xtra airs Mondays and Wednesdays on CMSTV (Time Warner Cable channel 3) on the CMS website (click the CMS TV link in the top right corner) or on the CMS mobile app.